PHILADELPHIA, September 6, 2017 — State Sen. Sharif Street will be honored as a distinguished leader by The Made Man Initiative this Friday, Sept. 8 in the Lower Level Atrium/Art Gallery of the Comcast Center, 1701 John F. Kennedy Blvd. in Philadelphia. 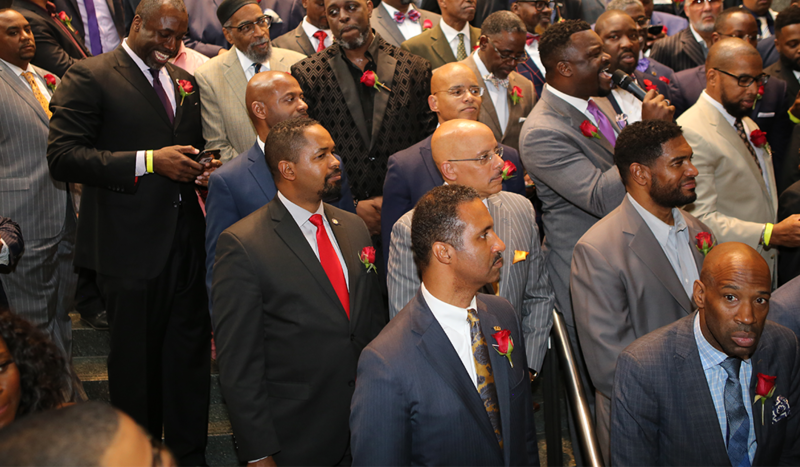 The Made Man is a national 11-city, multi-market, multi-tiered corporate and community initiative designed to honor the extraordinary achievements of notable African American male influencers for their leadership, lifetime achievement in their respective fields of work, social consciousness, and significant contributions to community empowerment. The Made Man taps a network of influential African American males, honors their accomplishments, and encourages them to reach back and lift underserved African American youth and adult males with tools to success, whose futures are uncertain in the absence of positive role models. Sen. Street was elected to the Pennsylvania Senate in November 2016. Prior to his election, he spent decades serving the community as an attorney, community activist and advocate of affordable housing and community development and has served on numerous community boards and committees (Full bio).